It’s the ultimate in souvenirs and great for travel. Get creative with your own Colortime Tote Bag and store all your keepsakes in it. 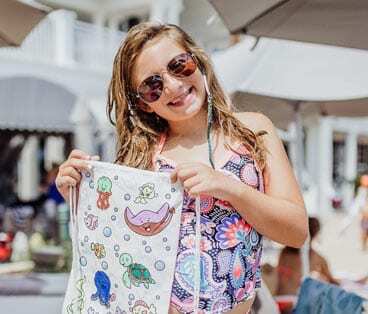 The kids become designers for a day and color their own beach bags. Spectrum Resorts guests receive one complimentary tote bag and non-Spectrum guests pay $12.